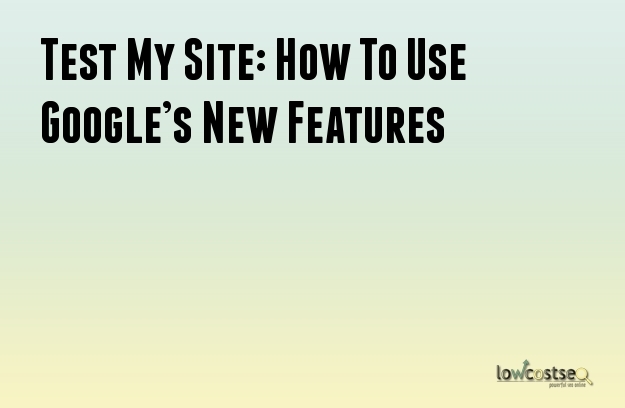 If you haven’t used it already, Test My Site is a tool designed by Google to, well, test your site. Specifically, it tracks the likes of page loading speeds, helping you to assess how well optimised your website is. More recently, the latest update has added some additional new features. So, how can we take advantage of these? Google has shown an increasing priority for mobile searching over the recent years, so it’s no surprise that the Test My Site page focuses on mobile data. Every second can result in lost visitors. There have been many ways to test your websites loading speeds, but getting a figure directly from Google certainly helps. If you’ve been noticing a high bounce rate on your mobile pages, use this tool to determine why and/or where this is occurring. Then, optimise your website to remove any difficult loading issues. Try not to use too much Java, ensure pictures aren’t unnecessarily large and pull back on additional files, if need be. How Many Visitors Are You Losing? Google estimates that around half of people want a page to load in less than 2 seconds – a figure that’s hard to argue with. With this in mind, the new tool gives a rough estimate of how many visitors – in terms of a percentage – you might be losing. Of course, this is just an estimate and your own bounce rates may vary, but it’s worth keeping in mind. After all, not everyone has a superfast connection on their mobile. People with a slower connection might simply leave after a second or two. Google will also compare your website to the wider industry (and the search engine is pretty good at determining what industry you’re in. After all, it knows a thing or two about picking up on keywords and related searches). This way, you get an instant measuring stick in regards to your performance. If you’re not at the top, this will show you that there’s a better solution and you might need to take a better look at your rival websites. Knowing there is a problem is one thing, but it’s another to know what you need to do. Test My Site adds its own solutions. It will recommend a number of fixes and estimate how many seconds this can shave off of your loading time. Of course, it makes perfect sense to listen to any suggestions Google can recommend about your website! Remember what we just said about comparing the industry? With these figures and some new estimates from Google, you can easily see how beneficial the recommended changes will be. Finally, don’t forget that this is a very reliable tool. Whenever you make any changes to your pages, you should run it through this tool. Do the new features slow the loading times down? Everything on your page should be finely balanced. If it slows down your pages, it shouldn’t stay if it is not essential.